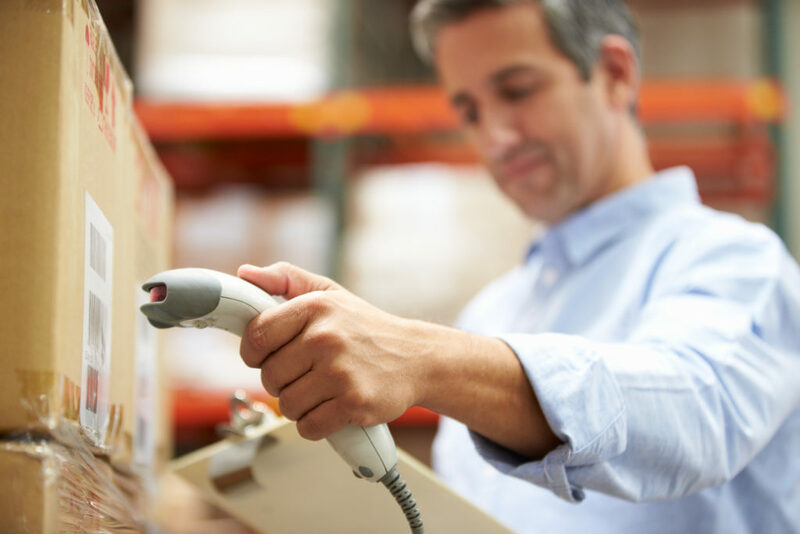 While implementing barcodes can go a long way towards making inventory management that much easier, there’s a lot that can go wrong with it. Not in a completely catastrophic way, of course, but in just enough of a way that, if implemented incorrectly, can begin to cause bigger problems throughout the warehouse, and that sort of defeats the purpose of barcoding, does it not? In many cases, SKU codes and barcodes are one and the same, particularly if your warehouse deals in high volumes of SKUs that don’t have a lot of variation in the products—as opposed to something like clothing, where you may need to separate by SKU and then again by size. SKUs tend to run a little long in most industries, and if your SKU codes run over 15 characters they probably won’t print properly onto labels, which could cause mis-scans or unrecognizable bar codes. See what you can do to compact the SKUs you work with, and if need be try to print them out smaller or on longer labels that can be more easily scanned. Even if you need to print out your barcodes at a different resolution to make sure they fit the label, most good scanners should still be able to pick it up. Whether you use SKUs or uniquely generated barcodes for each item, knowing where to place the labels is crucial to keeping the whole process painless. For individual items or anything that needs their own storage area, the best place to keep labels is usually right on the front of the pallet racks or gravity flow racks that the items are being stored on. Similarly, for items that come in frequent, regular shipments or in similar quantities, you may be able to place a label on the case they were shipped in, or transfer the contents to plastic storage bins and place a label on the side. This should prevent you from needing to tag and count every individual item and could help things go much faster. Barcodes are frequently generated using Microsoft Excel or another program specifically meant for warehouse management and barcode creation, but depending on how the items are entered this may cause some issues in formatting. If your formulas are creating barcodes with a lot of zeros in the beginning of the number, this can cause a lot of tracking problems and/or could lead to the barcode being unscannable by your readers. Review your barcodes to make sure they’re reading correctly with the provided SKU and get them into a format that your scanners can manage. Finally, advances in technology have allowed barcodes to store a number of details about products, like location identifiers and product type. In many cases, however, this isn’t completely necessary and can lead to errors in scanning. Except in cases where it’s absolutely needed (and aside from your all-time top-moving SKUS it probably won’t be), make sure to pare down your SKUs to the minimum information your staff needs to understand how much of each item is available and what needs to be done with it. Your workers will get the information they need more quickly and your scanners won’t be bogged down with information they may not be able to accurately process.